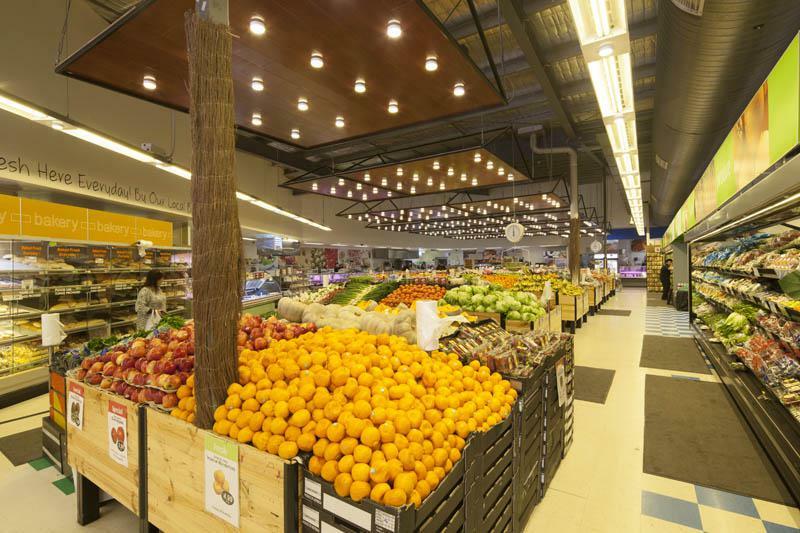 To manage a 30-40% increase in floor space and retain consumption levels at the present level. Provide the customer with a seamless supply of power for essential components such as point of sale (POS). To have a finished product that was, from the outset, cost effective in containing recurrent energy costs and that delivered the minimum carbon foot print possible. Not being able to deliver a solution that reduced the consumption by enough to avoid exposing the customer to a $150k capital cost for a supply upgrade (from Powercor). That the selected product mix was fully compliant with all Australian standards. That all product selected delivered best value. That the installation was compliant upon completion in the areas of the wiring rules and lighting codes. To replace all pre existing lighting with new technologies. 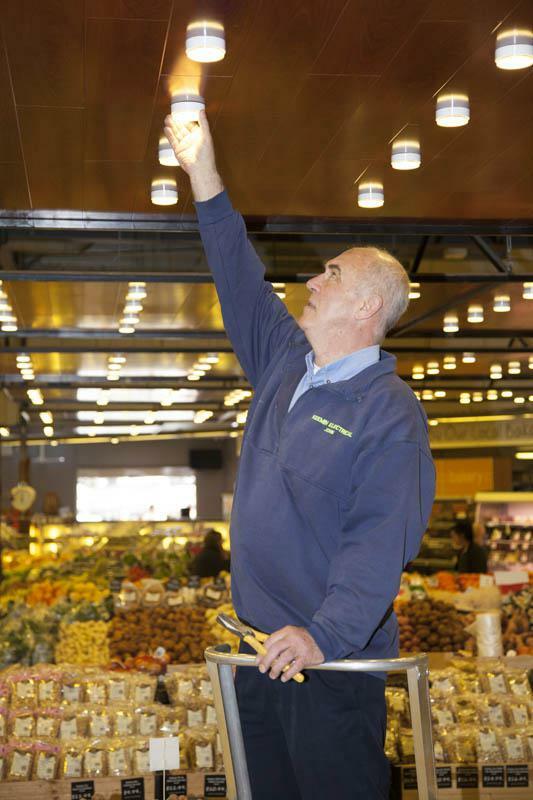 To install lighting to new areas also utilising new technologies. Replacement of the existing electric hot water with a solar hot water system complete with natural gas boosting. Ascertain the most cost effective electricity tariff and retailer choosing from what was available. Ensure that the chosen lamp colour was appropriate for the area where the fitting was to be installed. This would then set the ambience and increase retail sales. The opportunity identified three alternate colours to support different product types. The design and installation of a photo voltaic (solar panel) system. This system would be used to maintain a 48v battery bank. This battery bank would then support the essential power requirements for the store including scales and POS. Effectively becoming a highly cost effective large scale UPS. The design and installation of a exit and emergency lighting system that was cost effective to maintain and still compliant with standards. The supply and installation of a fully integrated Cat 6 phone and data network and appropriate data cabinet. An electricity consumption level of the newly completed building which was less than the previous even with a 30% plus increase in floor space. Greater volume and hotter hot water than was previously supplied. A store that can continue to function when experiencing a power failure. A capital saving of $150k by avoiding the supply upgrade to the site. 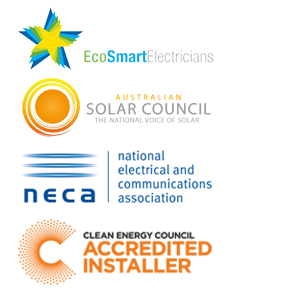 A electrical system that is compliant with all relevant Australian standards. A communications network that meets the staff requirements. A recurrent energy cost well below what would have be normally described as acceptable to a building of this type. Completed on time and to budget. To convert an existing historic residence containing a mix of Victorian to Edwardian architecture into a state of the art and compliant Eye Clinic whilst maintaining the ambience and architectural integrity of the building. Ensuring that the site did not over capitalise in regards to product procurement. That the installation was compliant upon completion in the areas of the wiring rules, lighting codes and in particular the requirements for medical centres regarding body protection. Negotiate a beneficial supply agreement with the distributor that would deliver to the clinic an adequate power supply at a reasonable cost. All of the above was installed and whilst maintaining the architectural integrity of the building.